The Toledo Irish American Club will present a “Traditional Irish Music Showcase” on Sunday, January 13th, 2019 ~ 2pm-4pm, at the Art and Performance Center of West Toledo 2702 W. Sylvania Ave. Toledo, OH 43613. You are invited to join for an afternoon of fun for this FREE event! The showcase will feature local musician and teacher, Mary Dennis, leading the group. 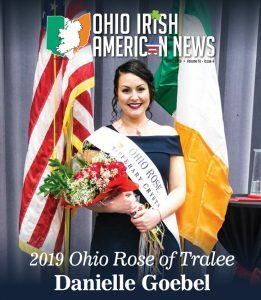 The musicians will be playing a series of sets often played in traditional Irish sessions along with discussing the origins, traditions and community of Traditional Irish Music. You will get a chance to learn about each of the instruments commonly played in sessions and an opportunity to pluck/play/pet the instruments with questions highly encouraged! Complimentary Desserts, coffee, soda, and water will be offered at the event. 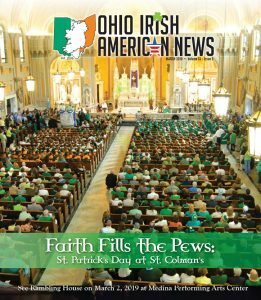 Traditional Irish music has returned Toledo and Northwest Ohio thanks to a Bowling Green, Ohio couple, Bob Midden and Mary Dennis. Bob and Mary led a session group called Toraigh An Sonas, which is Irish for “in search of happiness” Regular sessions are held at The Blarney Pub, 601 Monroe St. in downtown Toledo on the first Saturday of the month and at Logan’s Irish Pub, 414 S. Main St., Findlay on the third Wednesday of each month. They also appear occasionally at Stone’s Throw in Bowling Green. The Summer of 2017 had the Toledo Irish American club roaring back into existence, led by club president, Kelly Zawierucha. 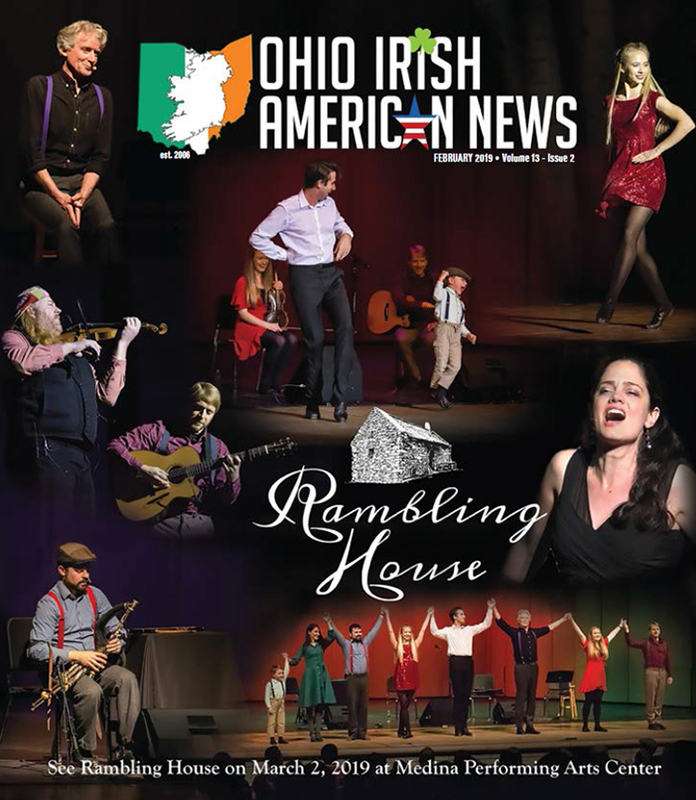 New members were added; fund raising events were scheduled; a concert was set for February 10, 2018 at the Maumee Indoor Theater, titled, “For the Love of Irish Music,” featuring The Drowsy Lads. 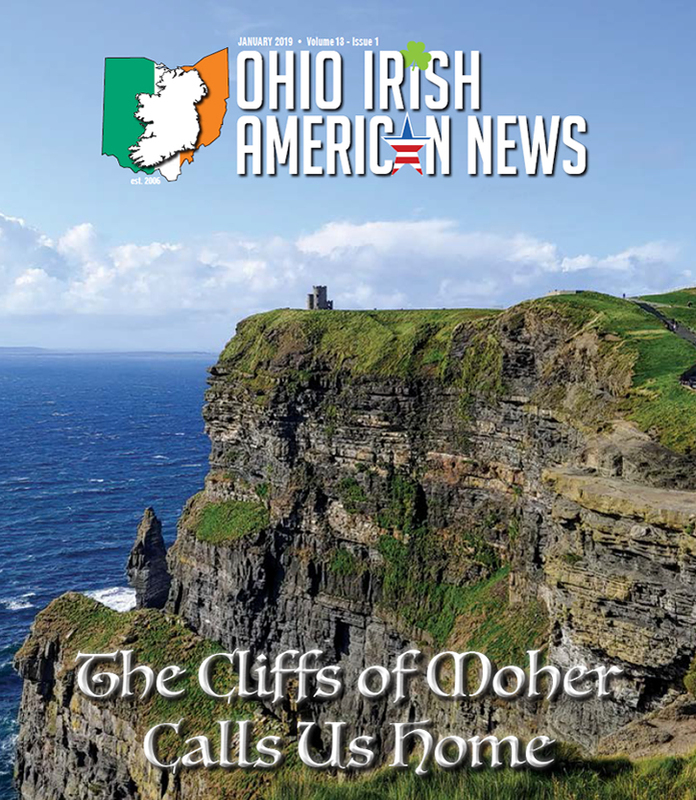 The Lads are fond of creating their own spirited arrangements and offering occasional original compositions, and even mixing in some bits of Bluegrass or Classical, but mostly they play the pure old traditional Irish tunes and songs. The show also featured a session by Toraigh An Sonas, and a performance by the Ardan Irish Dancers. 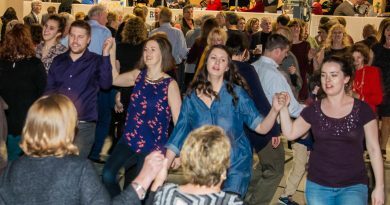 The final set was performed by the Drowsy Lads and the Toraigh An Sonas group playing together while the Ardan Irish dancers danced. Bob and Mary were also were a part of the Toledo Hibernian “River Cruise” on the Sandpiper last Summer. 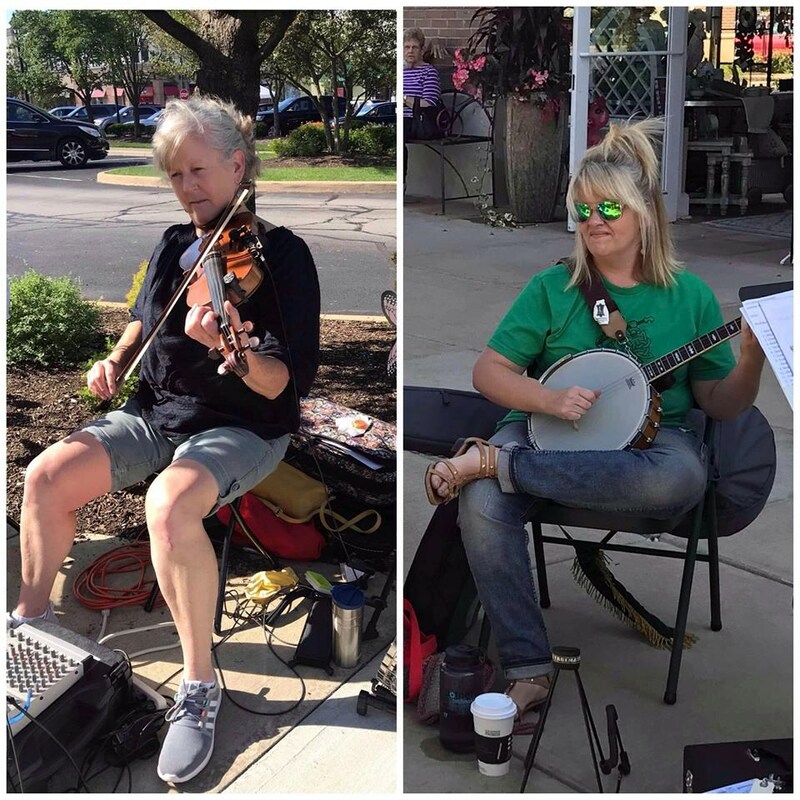 During the last months, while the number of people performing during the session at the Blarney increased, Mary Dennis was not there and was missed. It is great to see Mary back teaching others the joy of traditional Irish music. Mary Dennis started out playing piano as a youngster but as she grew older her interests shifted. 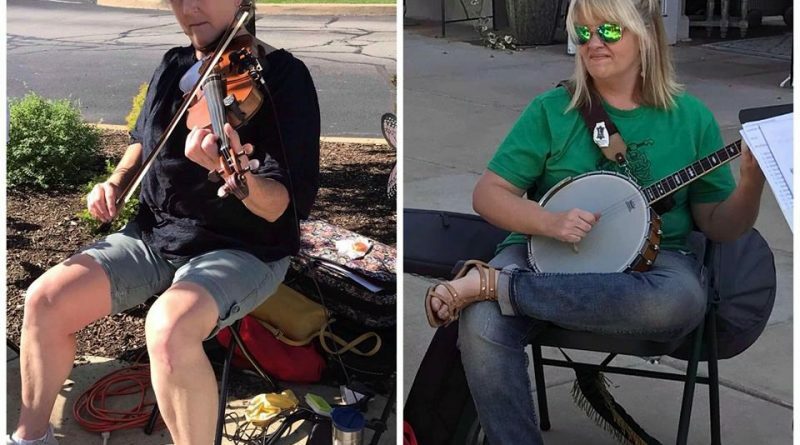 In high school she taught herself to play the guitar after watching both of her brothers learn, playing mostly folk music jamming with friends. 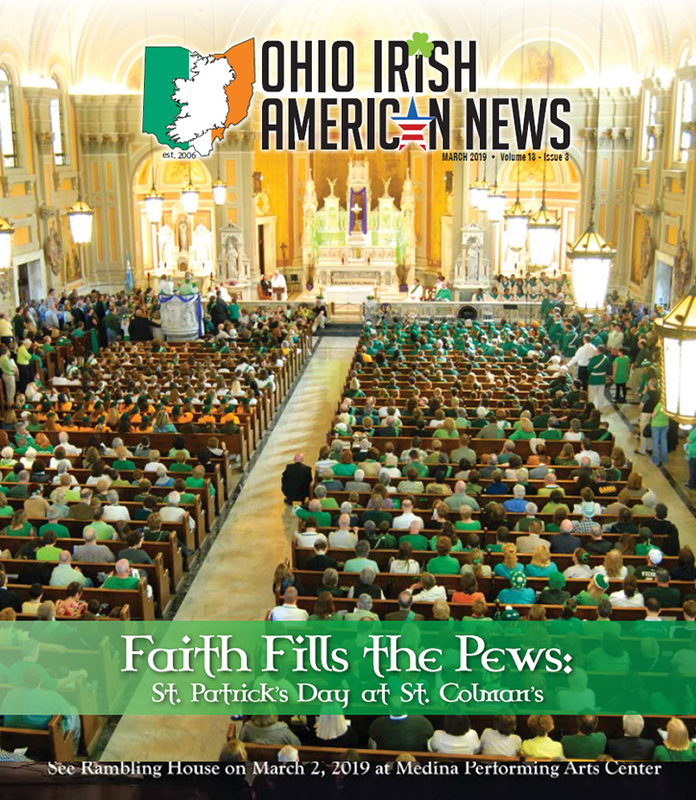 Mary had listened to her Dad sing Irish songs around the house while she was growing up. In the spring of 1992, Mary decided to learn the fiddle. She bought a violin from a friend and began to teach herself to play using books and tapes, learning the traditional Irish style. 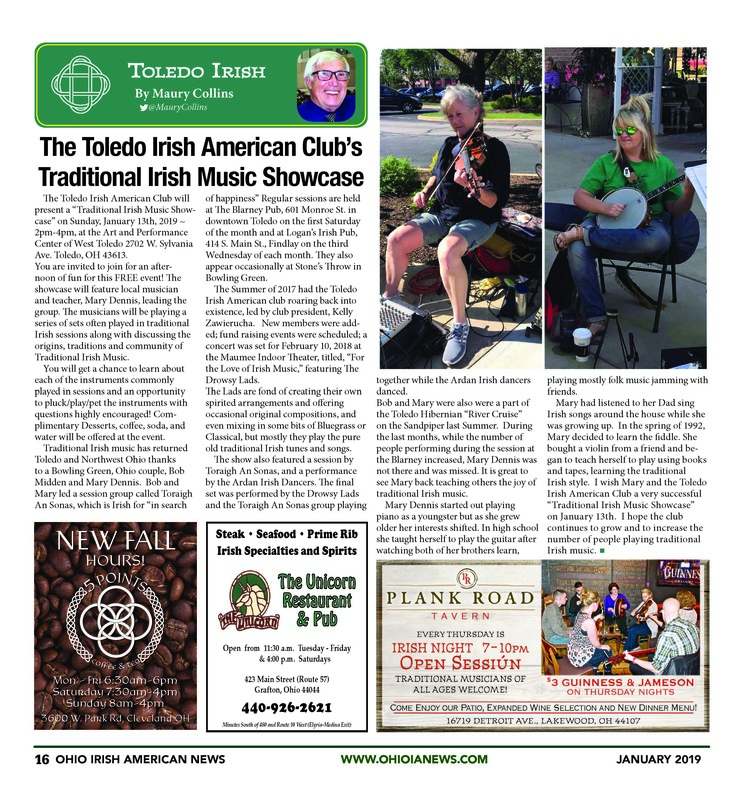 I wish Mary and the Toledo Irish American Club a very successful “Traditional Irish Music Showcase” on January 13th. I hope the club continues to grow and to increase the number of people playing traditional Irish music.